Chris Paul is getting a lot of attention this February, not only with the trade talks involving him, but also with his fourth signature shoe with the Jordan Brand. The White/Varsity Red-Metallic Gold colourway of the Jordan CP3 IV is already making a lot of noise in the market a day after it hit the shelves on Thursday 17 February. So are you looking for a shoe that would help you perform better inside the Hardcourt while getting a lot of attention with your elegant sneaker? 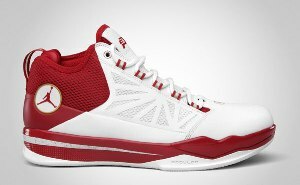 Then the White/Varsity Red-Metallic Gold Jordan CP3 IV is the one that you are looking for so grab one now and you’ll never regret it.